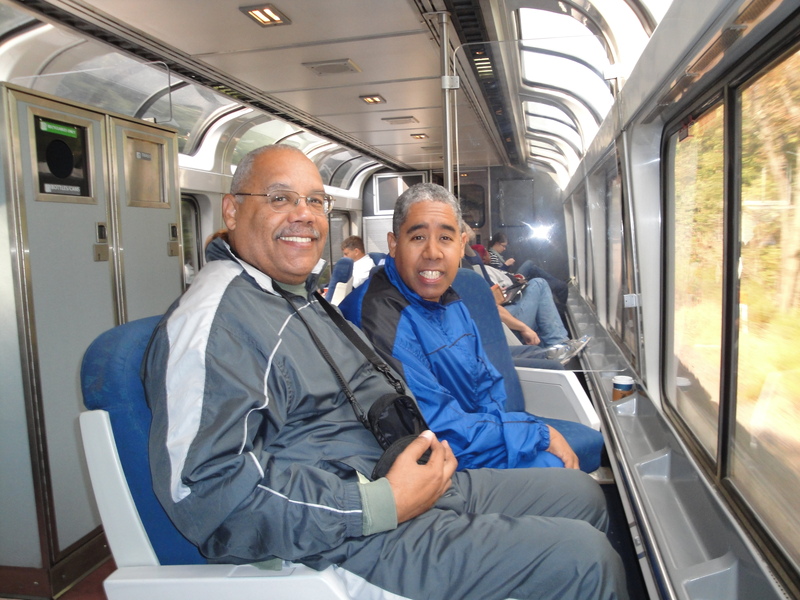 For the past six summers I’ve been taking a week-long train trip with David, my adult autistic son. Even before then we had spent at least a week together every summer, travelling to somewhere he hasn’t been. We’ve been to such places as Disney World, Niagara Falls, Virginia Beach. The idea of the train came about because driving long distances was becoming physically demanding for me. David is deathly afraid of flying. So the train became a great compromise. The time on the train together has been wonderful. He sleeps for the most part. There are, after all, no prime-time arrival or departure times from any station in Northeastern Ohio. It’s always in the wee hours of the morning. This year, for example, the train arrived at the Alliance station at 3:40 a.m., 35-minute behind schedule. Delays are the norm and not the exception on Amtrak. A couple years ago, I bought him a portable DVD player. It was a great investment. We travel with three or four movies, some animated, some nature documentaries, and the time flies by. I either sleep, read, write, or listen to music or podcasts. The challenge of being away is that I have been out of the office a lot recently with the ELCA Youth Gathering and Worship Jubilee scheduled back to back in July. And now with two consecutive weeks of vacation, I will have been out of the office four out of five weeks. It’s an uncomfortable feeling. I’ve had a difficult time disengaging from work. I am still connected electronically. People don’t know that I’m gone. So it becomes an ordeal not to look at email or check voice mail. Social media doesn’t help. But I need time away. And I am making every effort to focus on leisure activities and not work. Scripture informs us that Jesus valued rest. The flurry of his activity is balanced by his time of relaxation. The gospels often recount of Jesus going off to a quiet deserted place to pray. Other times he invites his disciples to come away to rest, as in Mark 6:31: He said to them, “Come away to a deserted place all by yourselves and rest a while.” For many were coming and going, and they had no leisure even to eat. I’m attempting to follow Jesus’ advice. 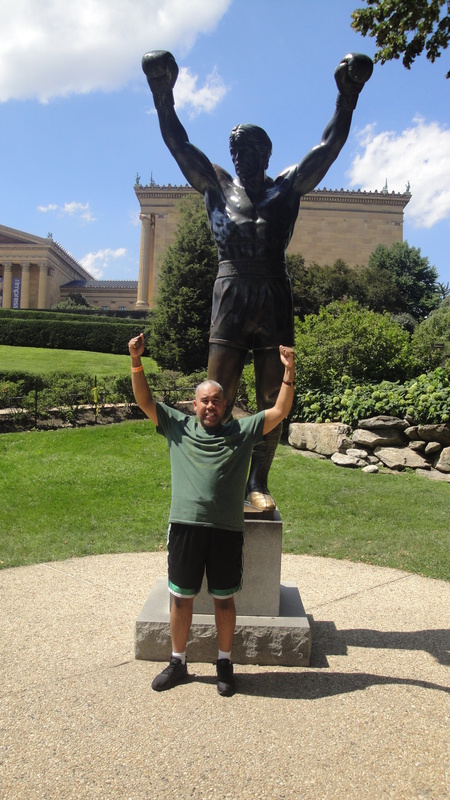 Our trip this year was to Philadelphia. It was an exception to our rule of not visiting the same city twice. Last year rain forced us to curtail our touring. We didn’t accomplish as much as we wanted so we returned to do what we didn’t get to do last year. David dictates the itinerary. He determines what we see and where we eat. It empowers him to express himself in fascinating ways. Though he has never visited any of these places, he somehow researches what is worthy of touring. It never fails to fascinate me. However, as curious as he is about new sights, he is pretty static about his choices of food. Chipotle is his restaurant of choice at the moment – a double-wrapped, double chicken burrito – and we have gone through some hectic negotiations from time to time about varying the menu. 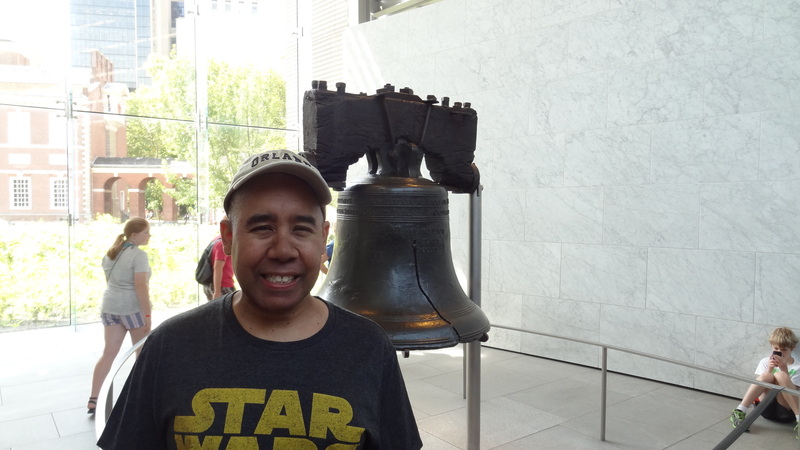 Nevertheless, we did the touristy things one does in Philadelphia; the Liberty Bell, Independence Hall, the Rocky Balboa statue at the foot of the steps of the Art Museum, a tour on a double-decker bus which allowed us to see those places where we didn’t spend a lot of time. We did the Betsy Ross house last year, as well as the original fire station. Philadelphia has a rich history, and we tried to relive more than three centuries in just one week. It was exhausting. David also loves to visit broadcasting outlets. In my previous career, he spent a lot of time inside radio and television stations, and he has never lost that captivation. The problem is, one just can’t walk into a television station and ask to tour the facility. That is difficult for him to understand. This year, he was satisfied somewhat with having his photo take with a cameraman on assignment outside a court building in midtown Philadelphia. And then, there are the photos. Everything that moves (or stands still for that matter) is a photo opportunity for my son. All our trips are digitally documented by the thousands of images that we have taken. He spends hours on end at home reliving the trip by virtue of a digital photo display that provides an ongoing slide show of everywhere he has visited. The slide show at the end of this post is just an infinitesimal portion of what we’ve witnessed. Though these trips are not total relaxation for me, they are an outlet for my special-needs son. I cannot imagine what goes on in that mind of his, but my satisfaction comes from knowing that his world is not limited by his disability. I understand that I am his source of entertainment. Though we see each other regularly, I live for this one week in the summer. I take a certain measure of consolation in thinking that he does too. Thanks, Donna! We had fun this year — no rain! You’re an inspiration. Your blog entry gives me the strength and belief that it is possible, regardless of whatever situations we face with our kids with autism. Thanks to David and you for both being a blessing to others and one another. I just read your Philadelphia story. This truly shows what kind of person you are!